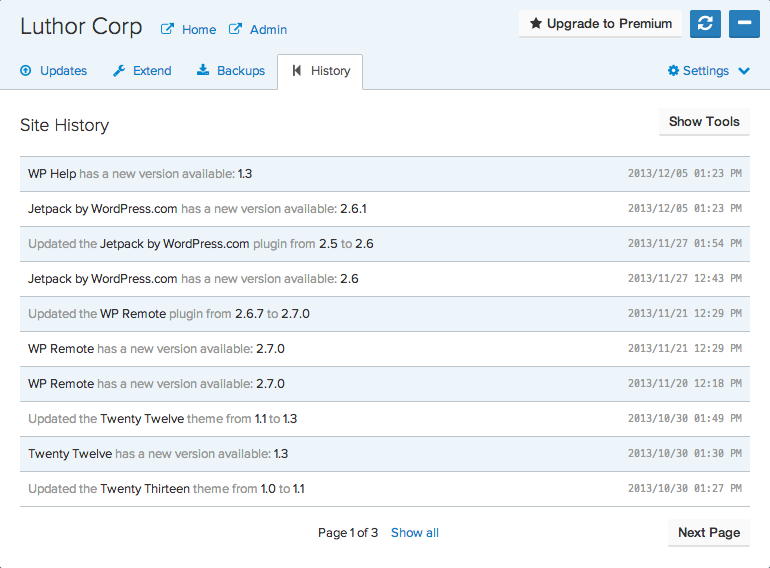 WP Remote history view is a place where you can review the actions performed on your site. The actions logged are ones made by WP Remote, you can expect to see things like plugin & theme updates, WordPress updates, as well as notifications to available updates. If you have premium enabled, WP Remote tracks a lot of those actions as well. Automatic backup completions (it also records any failures if any), automatic updates of plugins, themes and core and plugin installs, deletions or activation/deactivations made from the Extend tab. We now also support downloading your history as a CSV. You have some basic filtering options, which will be reflected in the downloaded CSV.